Livestock: a multiple-value resource that support the livelihood of nearly 1 billion smallholder producers in developing countries. 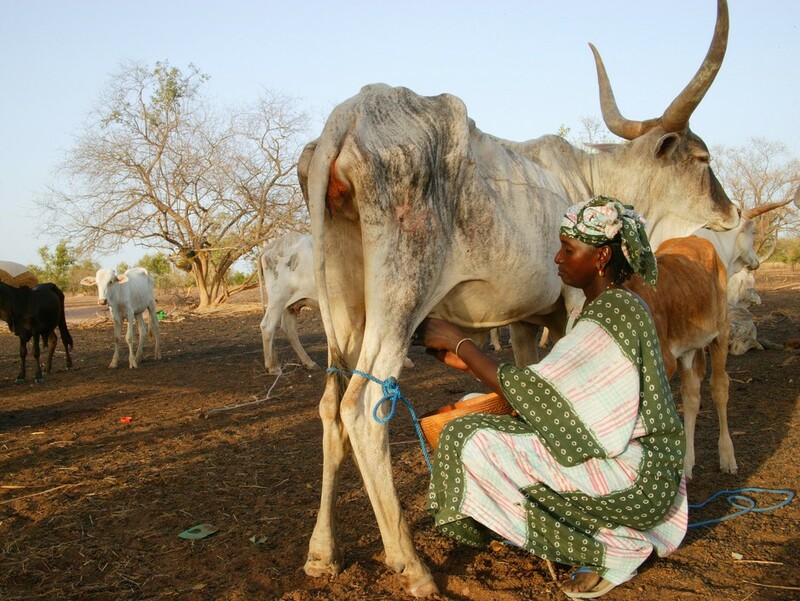 In many developing countries, smallholder livestock producers contribute significantly to the food security of the population, providing local markets with animal-sourced food produced in a sustainable way. Smallholders make little use of external inputs such as fossil fuels, use manure to fertilize soils in integrated crop production and grow their own animal feed. They therefore cause less greenhouse gas emissions related to transport, manure production and use of fertilizers. Moreover, their production systems substantially benefits the environment, thanks to its many ecosystem services for climate change mitigation and biodiversity increase (⇒ Study: The Role of Small-Scale Livestock Farming in Climate Change and Food Security). 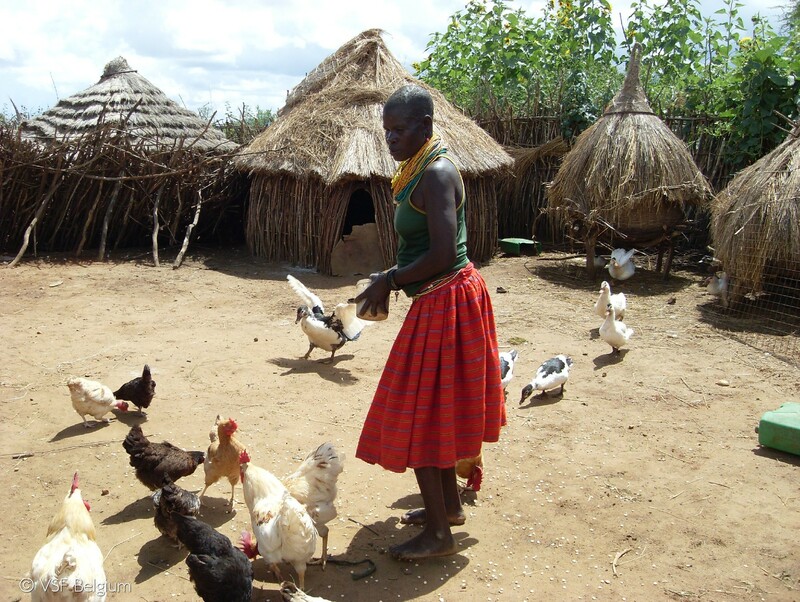 For smallholder farmers, livestock have several functions, including food, income, traction, manure, social capital, financial assets, and a means of recycling crop waste. The integration of livestock and crop production is fundamental to improve farm production and manure management, as strong complementarities exist between agriculture and livestock in terms of nutrient recycling, animal traction, and diversification of farms’ outputs. Integrated small scale farms are by definition less dependent on external inputs and more resilient to climate variability. The conservation of local breeds, the result of centuries of selection and adaptation to local conditions, favours the acquisition of economic, social and cultural rights for small-scale farmers. Local breeds are typically multipurpose and smaller than breeds genetically selected for mono production. They are usually more resistant to local diseases, food and water shortages, and extreme weather conditions. These characteristics translate into less need for veterinary care and an increased preservation of the ecosystem. In arid and semi-arid lands, mountainous areas, non-arable land and natural rangelands, pastoralism is the only possible production system, practiced by over 200 million people. These lands, which cover half of the world’s land surface, cannot be used in any other way for human consumption if not grazed by animals. Rangelands have an enormous potential for carbon sequestration and pastoralists are key to maximizing this potential through their mobility. 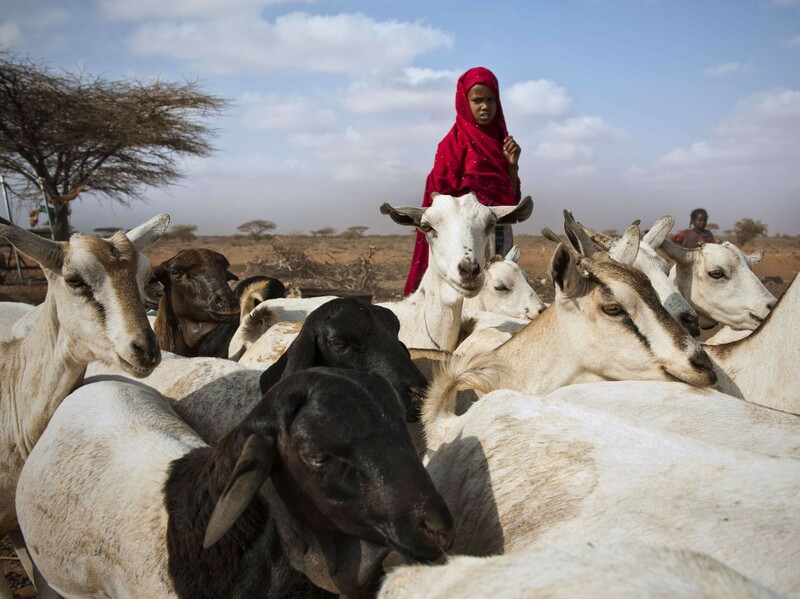 Well-managed pastoralism also provides important ecosystem services and co-benefits for people, including maintaining soil fertility, managing fires and regulating pests and diseases. strengthening the capacities of pastoralists’ and smallholder farmers organisations. » Read more about our actions in emergency relief and preparedness in pastoral areas.